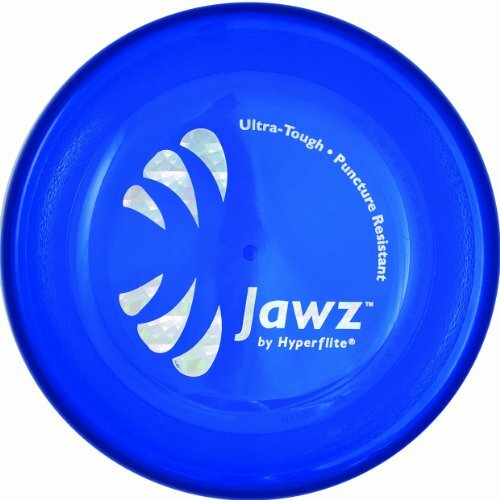 Featuring state-of-the-art aerodynamics, hi-tech polymers and patented gripping surfaces, Hyperflite Jawz discs (made in the U.S.) are nothing less than professional-quality athletic equipment for the modern canine athlete. The Jawz disc (8.75-inch diameter/145 grams) is the world’s toughest competition-approved canine flying disc. In normal play, competition or practice, Jawz discs will prove incredibly durable. In the hands of a skilled thrower, Jawz discs are capable of record-setting distance throws. Jawz discs should not, however, be used as canine chew toys.